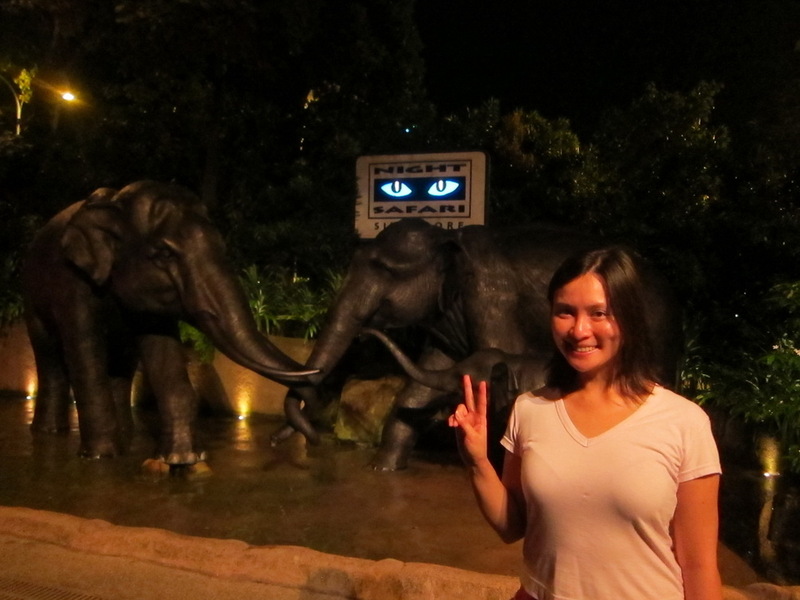 On our last night in Singapore, Mr. Selfish and I decided to do the night safari. 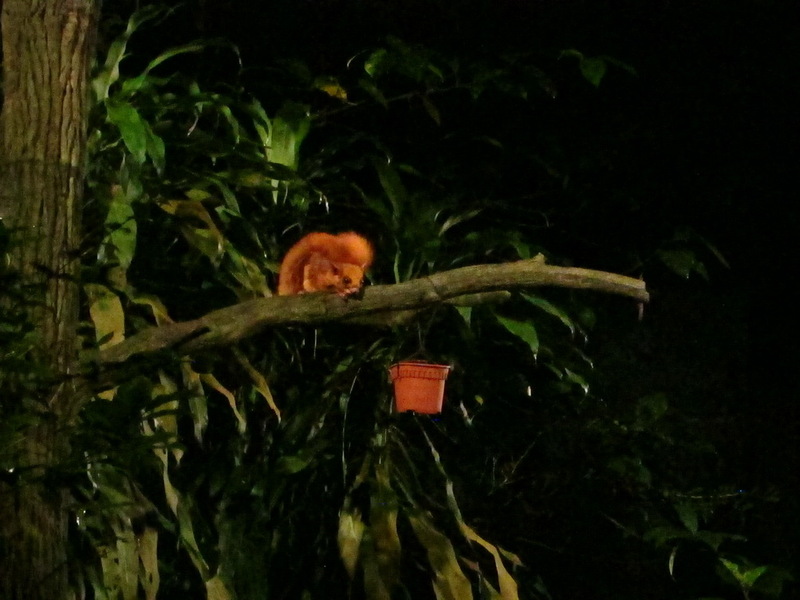 We had met a very friendly local who highly recommended it to us. He also noted that it was about 1.5 hours away by public transportation and that we should get there early since it got pretty crowded. 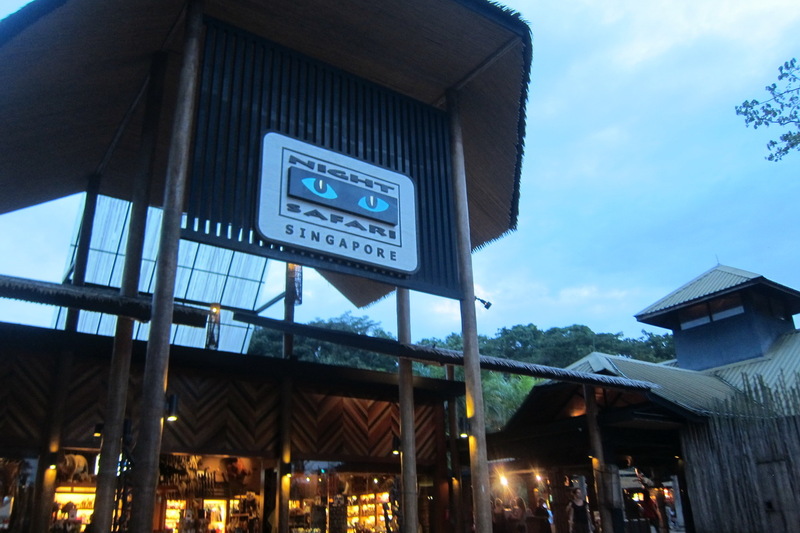 Per his recommendation, we left early and made the 1.5 hours trip to the night safari. 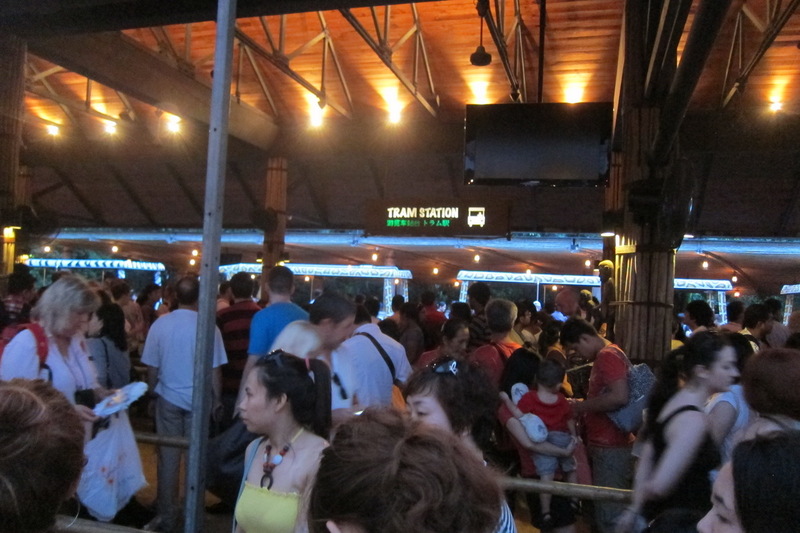 The first thing we did was queue up for the tram. It wasn’t yet too crowded but we could tell that it would be packed soon. 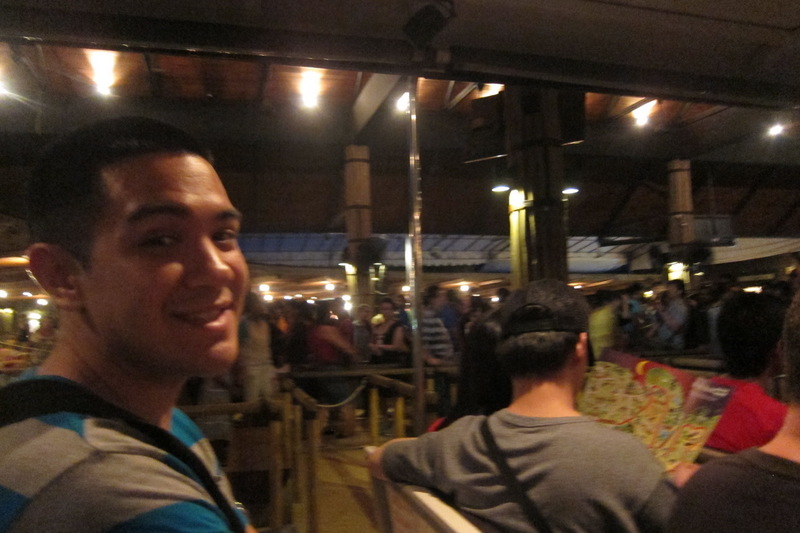 The tram ride was about an hour and a half. 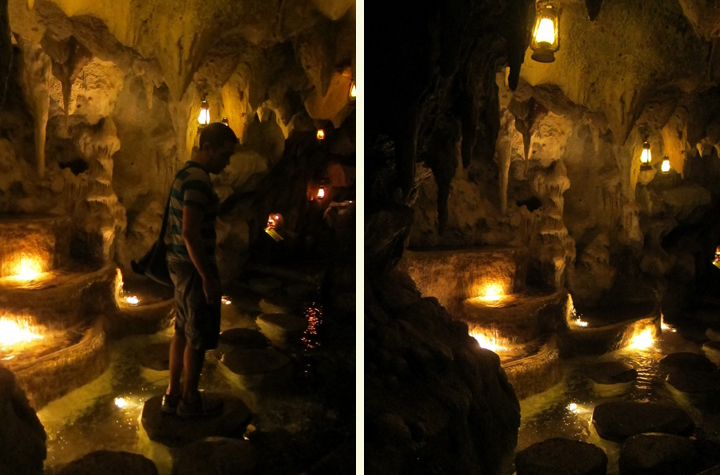 The tour guide had a charming British accent and pointed out various creatures along the way. She also showed us the various paths that we could walk later. 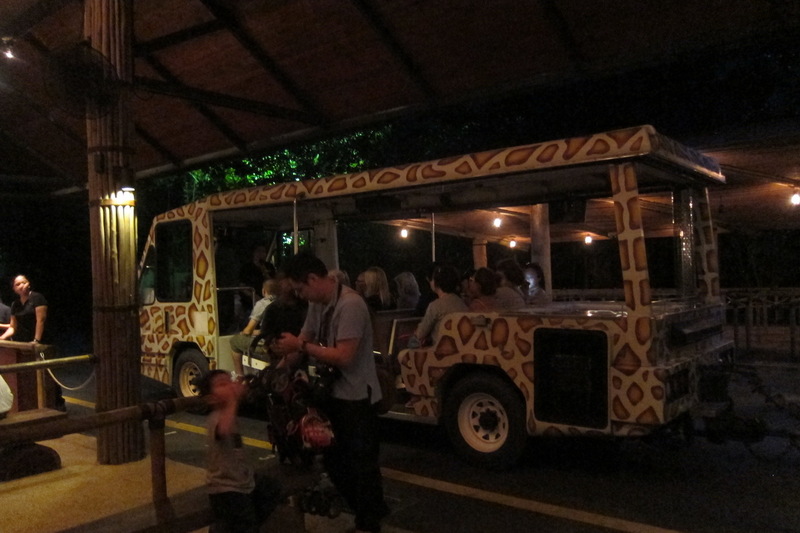 We actually saw a lot of animals on the tram but I wasn’t able to take adequate photos since it was so dark and we were moving. 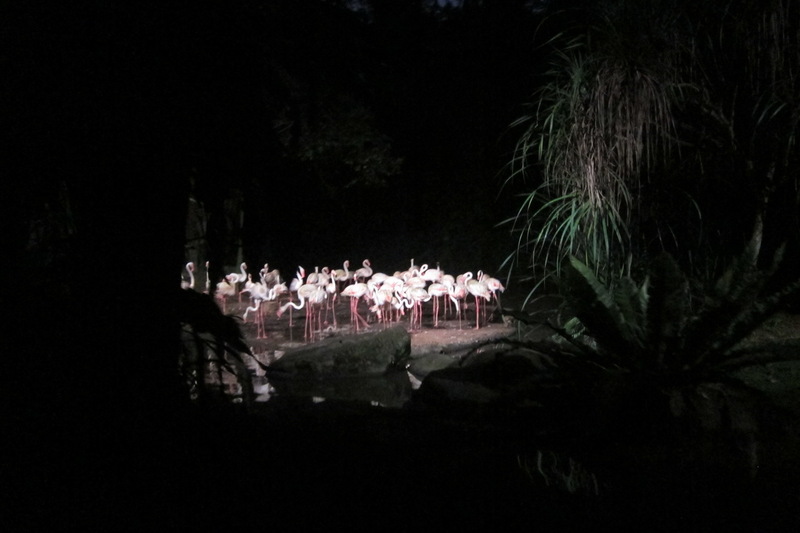 Here are some of the clearer shots I was able to take from the tram: flamingos, lions, and storks. Since it took 1.5 hours to get there, Mr. Selfish and I wanted to maximize our time. 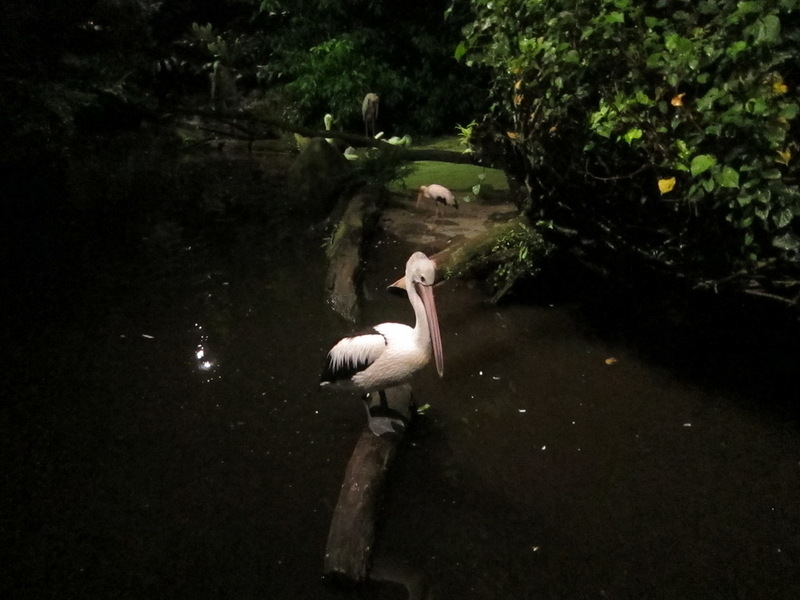 We did all of the treks, which led you to different types of animals. 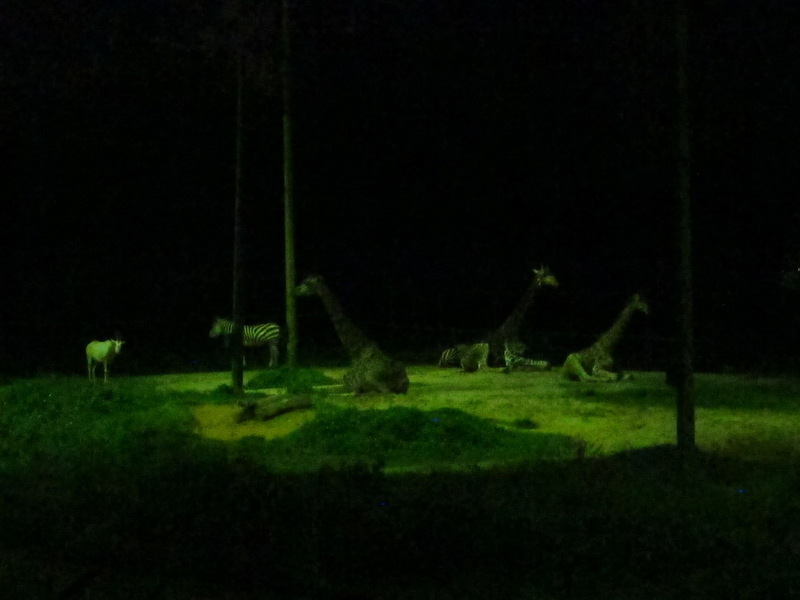 We saw flying squirrels, giraffes, zebras, and many other types of animals. 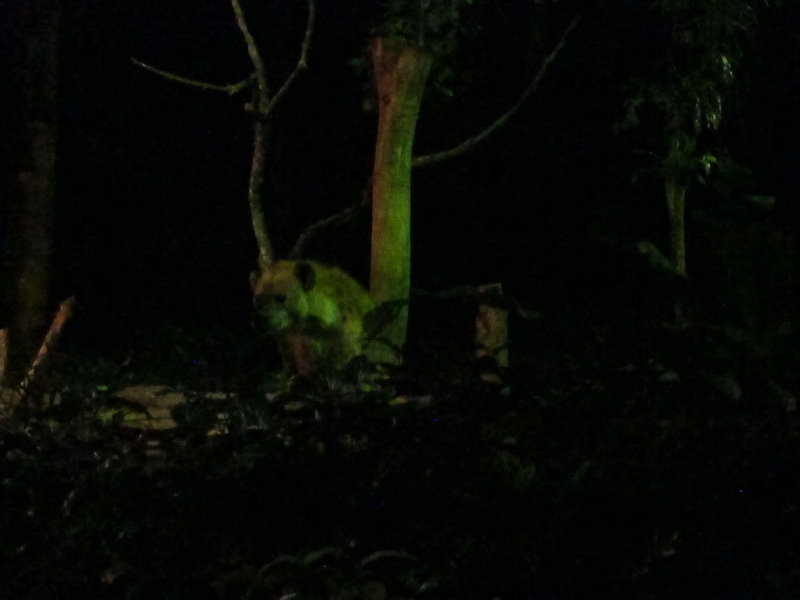 However, the creepiest thing we saw was a hyena staring intently at us. 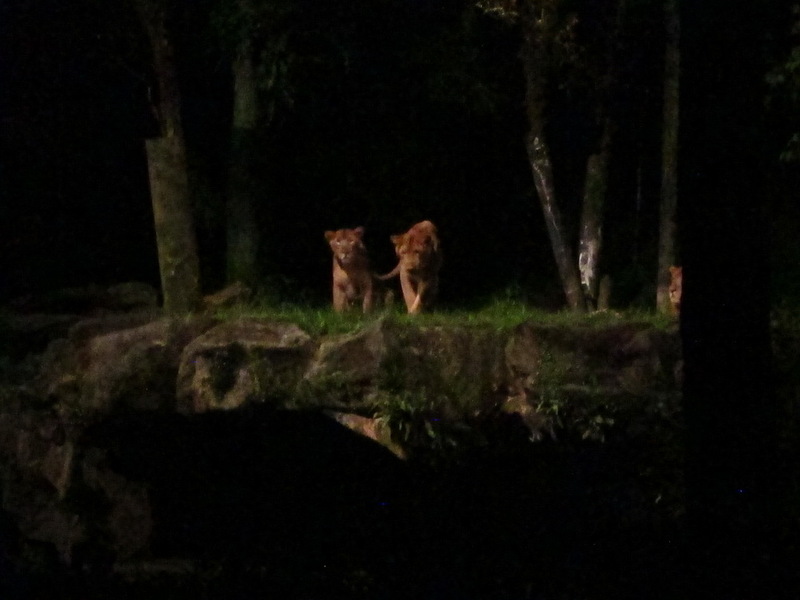 Although the night safari takes about 1.5 hours to get to, it is worth the trek. I would highly recommend it.